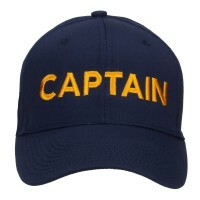 People wear captain hats as part of their attire for costume parties. So, if you are dressing up as a good sailor, then captain hats are for you. 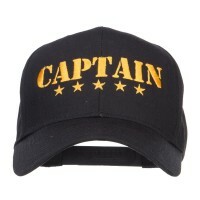 But aside from captain hats, there are also authoritarian hats that you can wear for costume parties. 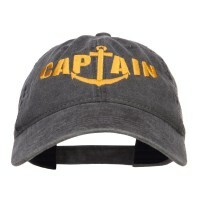 Captain Embroidered Hat Designs are basically ball caps that are embroidered with the word and images related to the navy captain. 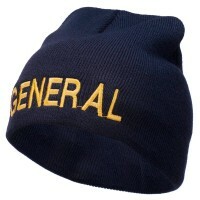 Since they are made from ball caps, they are lightweight and breathable as they are made from fabrics like cotton, nylon, or polyester. These hats also come with wide bill in the front for added protection against different environmental elements. 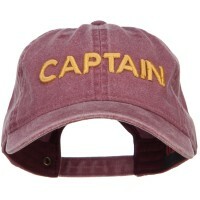 While captain caps are made from lightweight materials, the traditional captain hats are called peak hats. Peak hats are still worn today and they are form of headgears that are worn not only by navy captains but by many law enforcement agencies all over the world. Contrary to the ball captain caps, peak hats feature a short visor and a stiff flat crown. Whether you are looking for a hat to complete your sailor outfit or a gift to give to someone who works in the industry, then you came to the right place. 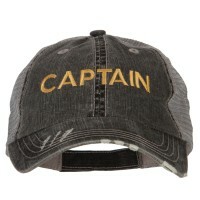 Here at e4Hats.com, we have a wide range of captain hats that are perfect for your needs. If you prefer to dress up as a military man or woman for a costume party, then you can Army Hats, Navy Hats, or Air Forces Hats. The best thing about these hats is that aside from being used as props for costume parties, they can also be worn to show support to the real brave men and women working for the military. You can also wear them like the Patriot Design Caps to celebrate the Patriots Day, Veterans Day, and even the 4th of July. While costume hats are great, it is also important that you choose hats that you can also wear on a daily basis. Why not opt for the Top Gun Design Caps? They look definitely good when paired with aviator sunglasses. The thing is that when it comes to wearing hats, be sure to choose those that you can wear at all occasions. 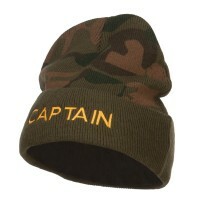 Again, the modern captain caps look very outgoing thus they can be worn not only as part of the official captain uniform but it can also be worn even with your ordinary clothes.